Recently the Catholic Answers Forums has had a number of Luther / Reformation related discussions. I was going to comment on the thread, Little Known Facts About Martin Luther, but it appears this discussion crossed the line even for the CA moderators and they deleted it. One other hostile discussion that hasn't been shut down is entitled, Who is Martin Luther and why was he excommunicated? This one is an interesting read, as it shows some of Rome's laymen appear to think that selling indulgences to rebuild St. Peter's was all fine and good, and Luther, a doctrinally ill-informed monk and severe sufferer of scrupulosity was way out of line to make such a stink over the whole thing. What baffles me is how people can possibly think that Luther deserved anything but excommunication, or that in reality, he didn't really excommunicate himself by being SO far outside of accepted Catholic teaching. It seems that there is a great deal at stake in Luther’s rejection of Indulgences and also in his criticism of Tetzel. In the same manner, whether Tetzel was correctly preaching Indulgences is also important. 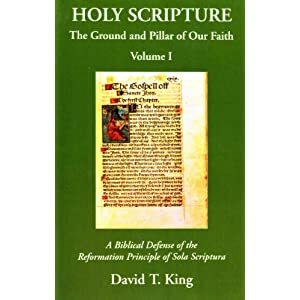 After all, if Tetzel was right and Luther was wrong, then it would appear that the Reformation was begun over a misunderstanding by Martin Luther. German Lutheran Professor of Reformation and Modern Church History Martin Brecht’s massive three volume biography of Martin Luther is correctly known for it’s attention to detail. It is also known for generally accepting Luther’s side of many situations. As such, when Brecht makes comments that show Luther in a negative light, they must be viewed as being credible. Brecht deals with the indulgence controversy in Volume 1, pages 175-221. I will be posting Brecht’s comments in the order that they appear. The generally accepted story about the Indulgence and Tetzel’s administration of them was that they were solely for the purpose of profit by the Church. Not so. While many people paid on the basis of their status: “The indigent were to fast and pray.” (Vol. I, pg. 182) This means that the Church granted the indulgence to the poor even if they could not pay to help build St. Peter’s. Clearly, the Church wanted to have everyone receive the Indulgence regardless of the ability to pay. The standard Protestant version of John Tetzel is not exactly flattering. He has been pilloried for centuries and was supposedly rude, crude, lewd, and greedy. Much has been made here of Luther’s understanding of indulgences. Again, if Luther had a poor understanding of the issue, then it would appear that he should not have presumed to have the background necessary to challenge the teachings of the Church in their regard. Here we should remember that with Luther, the key issue was the ‘certainty’ of his Salvation. So, whereas indulgences were not ‘certain’ according to Luther, the doctrine that he ‘found’ in Scripture, Salvation by Faith Alone, provided that certainty. This doctrine had never before been ‘discovered’ in Scripture was really the result of his extreme form of scrupulosity. Here in this section on Indulgences, Brecht ties in Luther’s extreme scrupulosity, which was obviously the foundation for his ‘problem’ with indulgences, since they were in opposition to where Luther ‘was headed’, Salvation by Faith Alone, even if he didn’t understand it at this point. How ironic is it that Luther complained that indulgences made grace cheap and then went on to invent Salvation by Faith Alone. Here we see Luther’s ‘uncertainty’ with regards to indulgences, and how the fact of his craving for the certainty of his salvation impacted his ‘problem’ with indulgences. I would suggest that maybe Luther shouldn’t have taken it upon himself to stand Christianity on its ear over a matter on which he lacked understanding. It is also interesting to note that Luther believed that perfect contrition removes all punishment. We know that Luther was terrified by the idea of God’s punishment and here we see how much it drove his probably unconscious agenda to refute indulgences. In seems we need to spend more time studying Luther’s mental health issues. What was it that was so unique about him that he was able to 'find' things in Scripture (like SBFA) that nobody else had noticed prior. One good thing about the CA forums is that they have word counts. My original response was much longer, but I edited it down to fit CA's parameters. when Brecht makes comments that show Luther in a negative light, they must be viewed as being credible. Brecht's primary purpose in this section is to explain the rampant abuse of indulgences and Luther's involvement in the controversy. In his words, there is nothing out of the ordinary describing this or Luther personally. It's standard stuff within Luther studies. The generally accepted story about the Indulgence and Tetzel’s administration of them was that they were solely for the purpose of profit by the Church. Not so. While many people paid on the basis of their status: “The indigent were to fast and pray.” ... Clearly, the Church wanted to have everyone receive the Indulgence regardless of the ability to pay. On page 180-181 Brecht points out that everyone paid (including the sick and disabled) except those who had nothing (the indigent). While Brecht notes the education and speaking abilities of Tetzel, as well as Luther's opinion of him, he points out that in regard to preaching on indulgences “He was in complete command of the indulgence propaganda” (183), and then cites from Tetzel directly: “Have mercy upon your dead parents,” “Whoever has an indulgence has salvation; anything else is of no avail” (183). Brecht notes also, “His remarks about the treasure of the church caused offense, and he cheapened grace because he was interested chiefly in as large a financial gain as possible” (183). “As an indulgence commissioner Tetzel was paid extremely well” (183). The lack of clarity goes beyond Luther. There was no complete dogma on the indulgence at this time. There was no official doctrine as to the effect of the indulgence upon Purgatory. Brecht also notes the lack of official doctrinal clarity of indulgences present to this day (176-177). Early on, Luther did not deny the validity of indulgences, but was concerned with the abuse of the indulgence. That there was an abuse of indulgences during this period and that Luther pointed it out, and that the church later sought to correct the abuses, is indisputable. In context, Brecht explains that Luther’s concern over the indulgence literature at this time was to safeguard the sacrament of penance. Brecht notes Luther came to maintain the following: “Repentance is sorrow over the sins one has committed because of the love one has for God” (185) and that this was something “which could only be reconciled with the practice of indulgences only with difficulty” (185). “Around 1514……Luther was already complaining that people were trying to make the way to heaven easy with indulgences, and with minimal demands – a sigh was sufficient – they were making grace cheap.” Ibid, pg. 185 How ironic is it that Luther complained that indulgences made grace cheap and then went on to invent Salvation by Faith Alone. According to Brecht, Luther at this time was concerned with the inner repentance of the heart (187), and that inner repentance is demonstrated by “the outward repentance which consists of confession of sin and satisfaction” (187). Brecht states: “Luther comes to the following conclusion: indulgences presuppose true contrition; they have value only in regard to the satisfactions imposed in private confession” (187). For Luther, a truly contrite and repentant person does not seek indulgences, but rather the cross (187-188). The entire section from Brecht is well worth reading, because it demonstrates the great piety of Luther and his great concern for a real and personal relationship with God. What I think is fascinating is how Luther and the indulgence controversy demonstrates a reoccurring problem within Christianity- that some people preach and think paying money is a way to God without actually having a real relationship with God. Amazing stuff. Once again, context is key. In fact, there actually were executions in Wittenberg in the 1530’s during Luther’s reign there. Over the years on this blog I've documented Luther's vacillation on capital punishment. It's fairly easy to document that the magisterial Reformers advocated a state / church relationship in which heresy and those causing societal unrest would face extreme punishment, including the death penalty. It's also easy to document the persecution of these people in Protestant lands, including Lutheran lands. I've yet to find though any documentation for Luther's role in public executions in Wittenberg in the 1530's, or any actual public executions in Wittenberg in the 1530's. I'd like to have some clarification on this point, if possible. I don't recall Luther being elected to political office or having a political reign in Wittenberg. As far as I know, he was an influential preacher and a theologian in Wittenberg in an age in which the church and state had a close relationship. Nor do I recall Luther specifically having individuals executed in Wittenberg in the 1530's. I am aware of some people being executed for witchcraft in Wittenberg in the early 1540's, and I'm familiar with the severe interrogations of some Anabaptists in Wittenberg in the 1530's. As someone always willing to learn (or to be reminded of what I've forgotten), I'd like to know (or be reminded) exactly who Luther had executed in Wittenberg in the 1530's. While it certainly is within the realm of possibility that the secular authorities of Wittenberg during the 1530's carried out capital punishment, I don't recall this actually happening in the 1530's, or more specifically, that Luther was involved with the carrying out of executions during the 1530's, especially against Anabaptists. It's quite possible there were executions in Wittenberg during the 1530's. It seems to me though this overzealous Roman defender is trying to make Luther worse than he was, or perhaps was thinking of other areas of strong Lutheran influence in which capital punishment was carried out. If there was some sort of situation in which Luther was directly involved with a public execution as carried out by the authorities in Wittenberg in the 1530's, I think I would have come across it. Consider Calvin's involvement in the Servetus affair- if there was some similar situation involving Luther in Wittenberg in the 1530's, I think Rome's defenders would make it a front and center attribute of Luther's career. I have a few books specific to the relationship of the magisterial Reformers to the radicals that may have the documentation for this person's assertion. My suspicion though is that when it was asserted "there actually were executions in Wittenberg in the 1530’s during Luther’s reign" the comment was written without any actual research, or perhaps it was just a mis-statement by an over-zealous defender of Rome.